These plant picks are beautiful and functional! 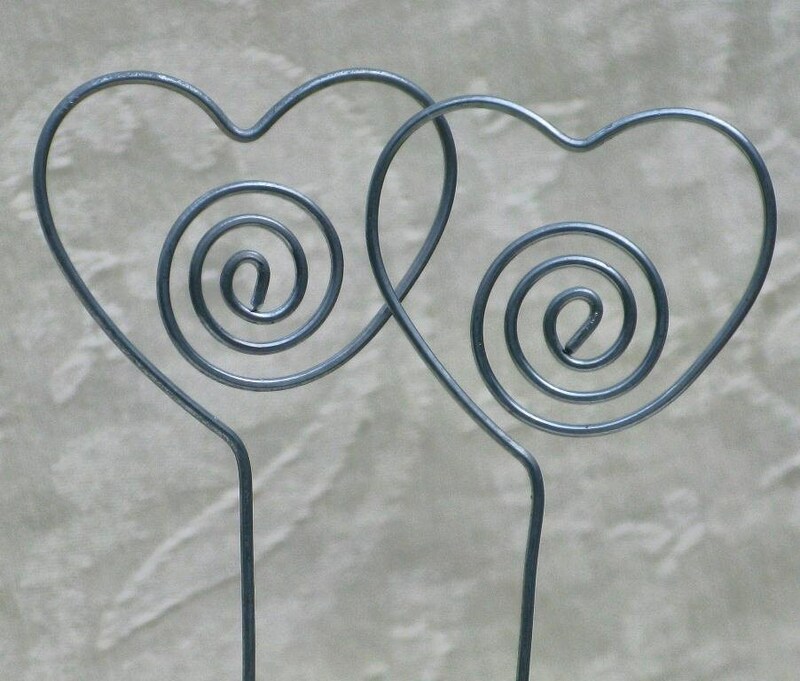 Perfect to mark tables for weddings, showers or other events. Make a truly unique Valentine's Day by adding gift cards (either retail or the "good for one hug" variety!). Use them to dress up that boring old plant you planned to give Mom this year. Add photos of loved ones. Put them in a vase with colored sand as a bouquet that never needs water. Put them in a poinsettia to display holiday cards. Other uses include grouping them in a jar to display your business cards. Also good for soap sellers to display their price/info signs. As these picks are twirled free form in galvanized steel (to retard oxidation) wire, no two will be exactly alike. Each pick is approximately 2" wide and 12" tall. You will receive one set of ten plant picks with each order. These plant picks are ready to ship and will be mailed Priority Mail within one business day of payment. Excellent Etsy seller!!! A rush shipment that arrived in plenty of time! !